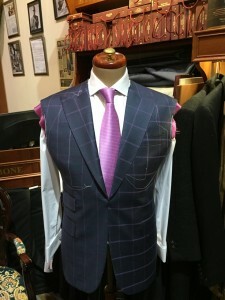 A Made to Measure Suit, Tailor Made Suit or a Hand Made Bespoke Suit are all custom made suits. With a one on one consultation with the Master Tailor, it won’t take long for you to decide which one suits you best. This experience with Adriano will help you understand how each product will work for you. So if you’re after a suit on a budget, our price is not an issue. We will accommodate you. All of our Suits are 100% Made and Tailored, in House, in our Sartoria (Work Rooms )in The Block Arcade Melbourne. 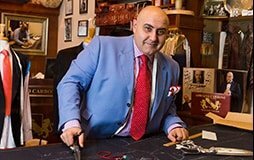 In the consultation, Adriano will ask you a series of questions which, will assist you in deciding the best garment in terms of the fabric and weight which suits you best.